Sweet news for dessert lovers. 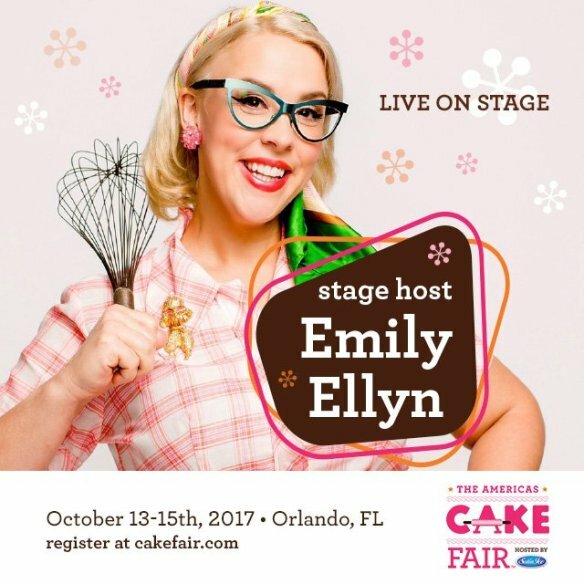 Tickets are now on sale for highly-anticipated return of The Americas Cake Fair (Cake Fair) to the Orange County Convention Center on October 13-15, 2017, hosted by Retro Rad Diva Emily Ellyn. Disney On Ice presents Dare To Dream has been postponed until May due to approaching Hurricane Irma. Sunday, September 10 at Amway Center have been postponed due to Hurricane Irma. A return engagement is scheduled for MAY 11-13, 2018. Tickets will be honored for the rescheduled performances. Disney On Ice presents Dare To Dream comes to the Amway Center for six performances September 8-10, 2017. What isn’t there to love about the beauty, grace, high-energy and magic that is Disney on Ice?! 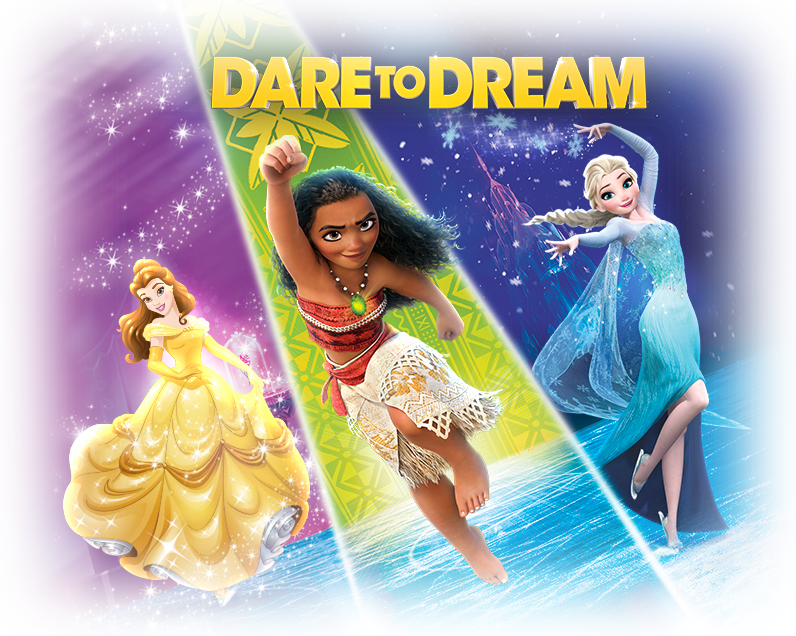 This year, Disney On Ice presents Dare To Dream, produced by Feld Entertainment Inc., that brings courage and adventure to audiences far and wide, including The City Beautiful, Orlando, this September. I will be there with my family as a Feld Ambassador*. Hosts Mickey Mouse and Minnie Mouse lead an expedition across raging seas and snow covered mountains. 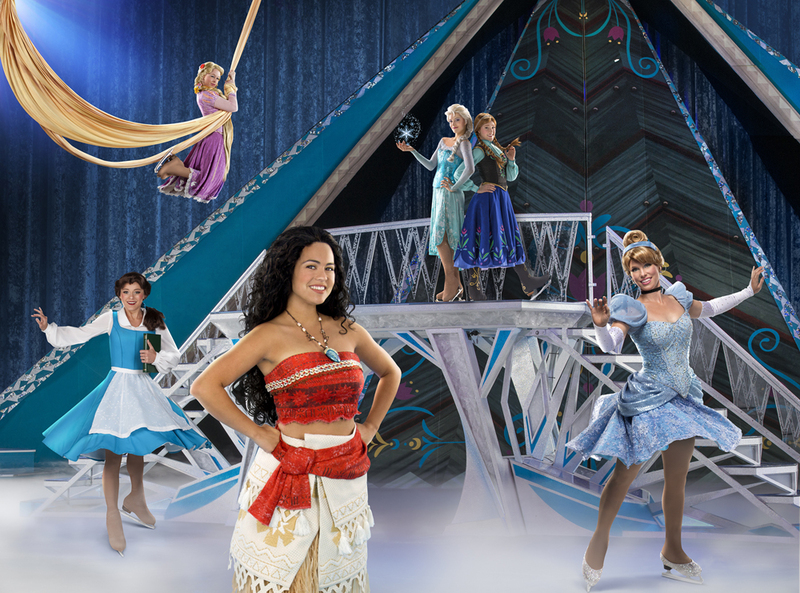 These extraordinary tales will be told with a pantheon of Disney favorites including Moana, Maui and Friends from Disney’s Moana in their first Disney on Ice tour, plus beloved characters from Disney’s Beauty and the Beast, Frozen, Tangled and Cinderella and more, all telling extraordinary tales through music, dance, costuming and theatrics on ice! Friday, September 8 at 7:30 p.m.
Saturday, September 9 at 11 a.m.
Saturday, September 9 at 3 p.m.
Sunday, September 10 at 1 p.m.
Sunday, September 10 at 5 p.m. Ticket prices range from $18 – $100. Save 20% off select seats with code SAVE20. (Not valid on premium VIP seating. Hurry for the best available seats! Code expires September 7, 2017.) Visit DisneyOnIce.com for additional show information and to buy tickets. One lucky winner will receive 4 tickets for either opening night, Friday, Sept. 8 at 7:30 p.m., or Saturday, Sept. 9 at 11 a.m. Contest begins at midnight 8/5/2017 and ends at midnight 8/26/2017. One of my favorite food events of the year is coming up soon, the newly re-branded TASTE! Central Florida Saturday, August 19, 2017 from 6:45 p.m. – 10:00 p.m.
LOCAL EVENT. LOCAL CHEFS. LOCAL CAUSE. In previous years, proceeds (from what was formerly called Taste of the Nation) have impacted thousands of lives both locally and around the country. Organizers have decided to further pinpoint the direction this year by advocating more directly for those in our neighboring communities struggling to put food on their plates. TASTE! 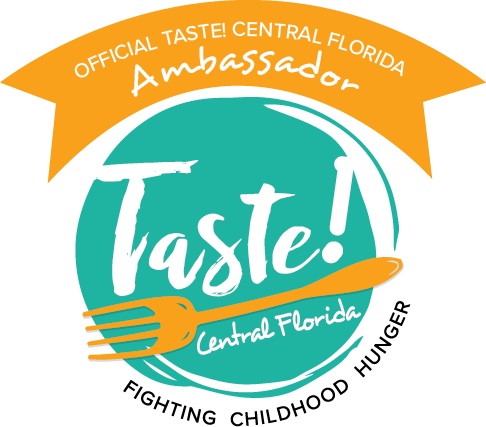 Central Florida is one of the largest fundraisers of the year for Second Harvest Food Bank of Central Florida and Coalition for the Homeless of Central Florida. Tickets are $150 per person and can be purchased here. The beautiful ballroom at Orlando World Center Marriott is wall-to-wall with tables of bountiful, fun, and creative food and drink options. They’re not, however, the only offerings. Guests can participate in a fully-automated mobile silent auction featuring signed memorabilia, stays at upscale hotels, dining experiences, rounds of golf on area courses, and exotic adventures and getaways. Taste! Central Florida is also bringing back the Edible Orlando Giving Tree, where guests can win certificates and gift cards to Orlando’s most popular establishments. Donate $50 for the chance to select envelopes hanging from a towering tree. Prizes range from $25 to $300 in value. It’s an exciting way to donate. Who knows what you’ll win? Wine lovers will enjoy the Instant Wine Cellar game where participants have a chance to win more than 150 bottles of wine valued at more than $2,500! Guests can also take their chances on winning a bottle of wine with a Ring Toss For Wine fundraiser. When a ring lands around a bottle neck, the guest wins a bottle of wine to take home. Last year this was incredibly popular. Who wouldn’t want to win a bottle to take home? Who else LOVES going to this foodie event? Internationally-popular pastry chef and television personality Duff Goldman, star of Food Network reality shows Ace of Cakes, Duff Till Dawn and Holiday Baking Championship, will delight attendees during his stage appearances on Saturday and Sunday. Other world-renowned cake industry celebrities scheduled to present throughout the weekend include: Mich Turner, whose clientele includes The Queen of England, Madonna and David Beckham; and pastry genius Ron Ben-Israel, named “the Manolo Blahnik of wedding cakes” by The New York Times.  An exhibit hall overflowing with products and services, including some items for cash and carry. Cake Fair is hosted by Satin Ice, which is made by Satin Fine Foods, Inc., an industry-leading manufacturer distributing its premium range of cake decorating products to more than 60 countries worldwide. 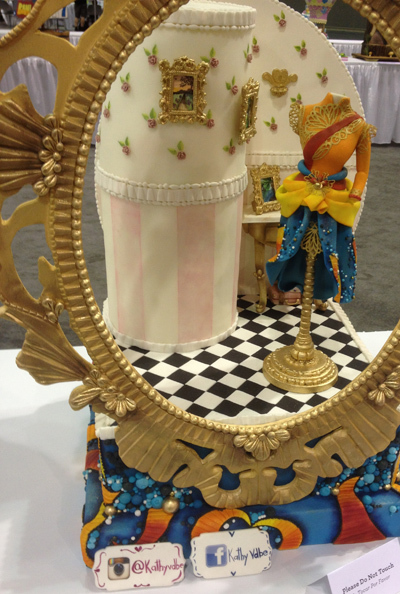 Partners and sponsors of The Americas Cake Fair include American Cake Decorating; Ateco; Cake Central; Cake Masters, DecoPac; Domino Sugar; Pillsbury; Retail Bakers of America; and Sterling Bank. Stay up to date on Cake Fair event updates, special offers and exclusive contests by following the show on Facebook, Instagram and Twitter (@cakefair). For those who want to present their work during live challenges and competitions, registration and information about themes and rules is now available. For more information about exhibitor opportunities, exclusive, customizable sponsorship packages, visit www.cakefair.com. I have so much fun at this show. Talk about inspiration! The cakes you will see are breathtaking to say the least. They’re edible works of art. Be inspired by the demonstrations and pick up on some tips and tricks at the classes. 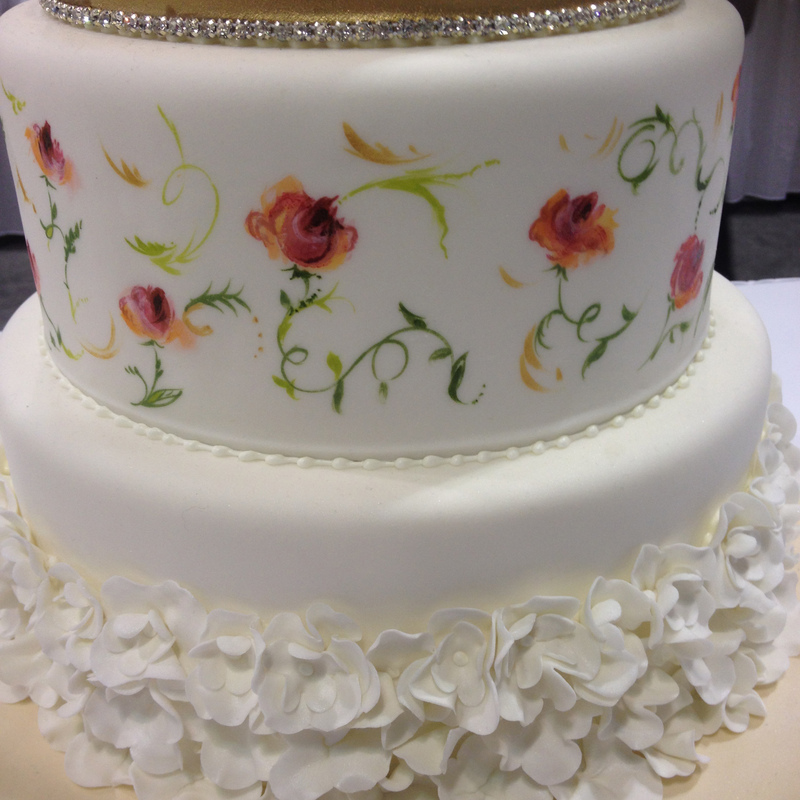 Satin Fine Foods, Inc. is a world-leading rolled fondant manufacturer. Established in 2001, Satin Fine Foods developed the Satin Ice range of products to satisfy the demands of the world’s best cake artists. Known for its superior workability, consistency and taste, Satin Ice has become the premium fondant of choice for professional cake artists around the globe. For more information please visit www.satinice.com. More than 40 companies representing unique classes, outdoor adventure programs, sports leagues, and family-friendly destinations and attractions throughout Central Florida will showcase unique summer camp and adventure program opportunities for your family. SeaWorld Summer Camp 2016. 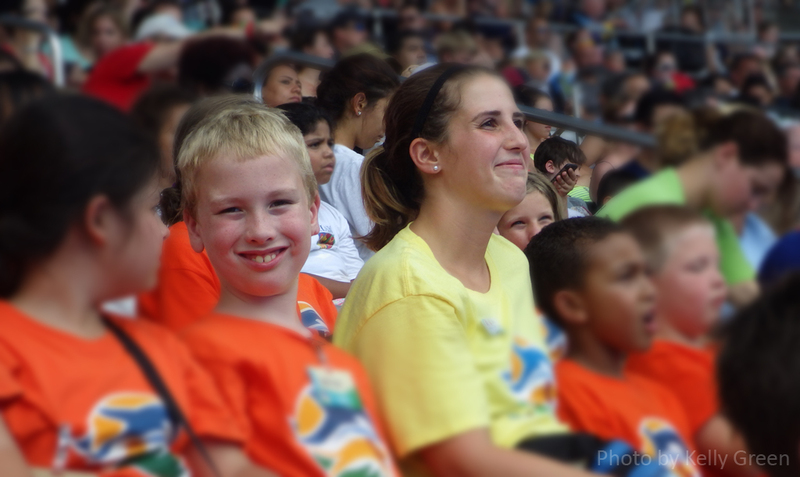 That’s my smiling camper! 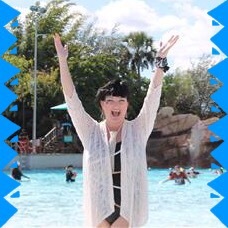 While looking over the list of camp options available, I saw some favorites (like SeaWorld that my son LOVED last year), and some that I didn’t know about. Who knew you could send your kid to the University of Doglando?! 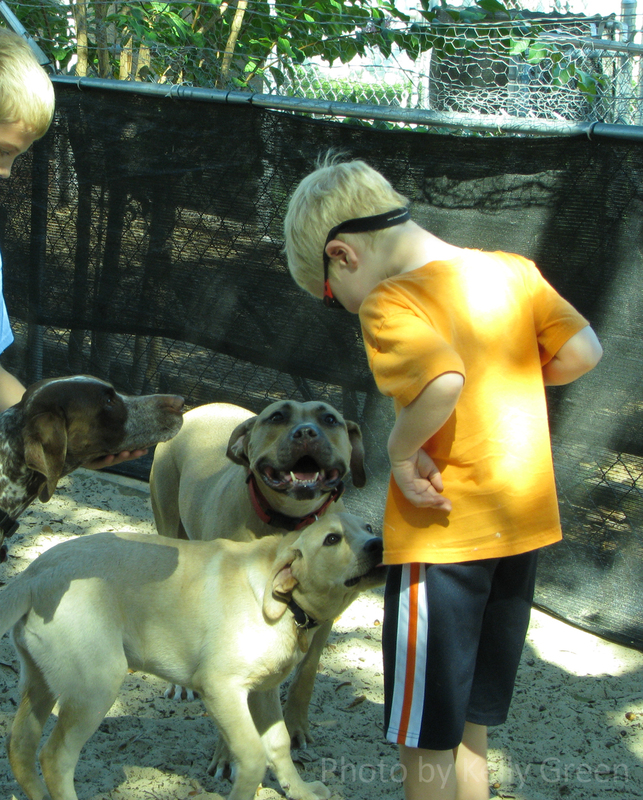 There he or she can learn about animal care and training, while handling adoptable dogs. Doglando has friendly, furry friends. While we’re partial to experiences involving animals, there are sports activities, theater, science, music and so much more. Special Needs families will find camps that their kids will enjoy, too. There’s never been an easier way to compare summer camps in the Orlando area. Come on out Saturday, March 4, 2017 from 10am – 4pm at Seminole Towne Center Mall, 200 Towne Center Cir, Sanford, FL. It’s located right off of I-4 Exit 101C. to Medieval Times! Read full details on the Orlando Sentinel website. 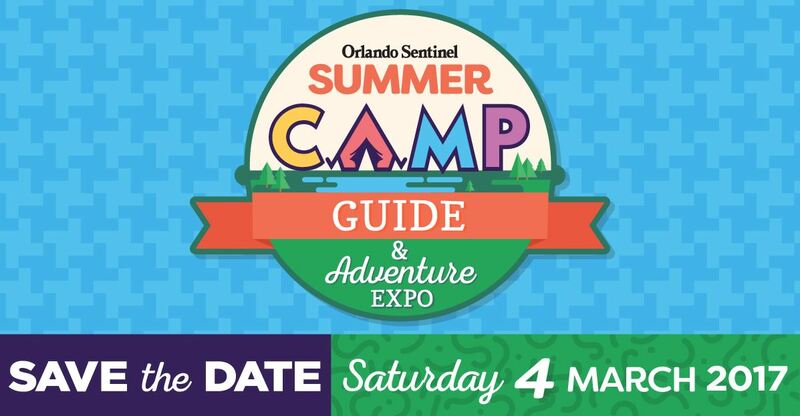 Check out the full list of camps and read more at http://www.orlandosentinel.com/summercampexpo. *After 10 am ET on 3/4/17 at the Orlando Sentinel Information Booth at the Summer Camp & Adventure Expo at Seminole Towne Center Mall. Full details here. It’s time for the Polar Plunge – a thrilling run into the frigid winter waters to raise money for Special Olympics Florida! I’m excited to once again be Freezin’ for a Reason. Did you know that over 38,000 athletes with intellectual disabilities receive health exams and compete in year-round sports competitions at no cost to them or their families? By raising funds, even more athletes will get to experience the joy of sports through the programs of Special Olympics Florida. You can help! Please click HERE to make a quick, secure online donation for my Plunge. You can even post a note on my page to cheer me on! If you prefer to give by check, please mail your donation to the address below and be sure to add a note with my name and “Polar Plunge” so it gets credited to my page. Some companies even match charitable donations. Consider asking your HR department about it. 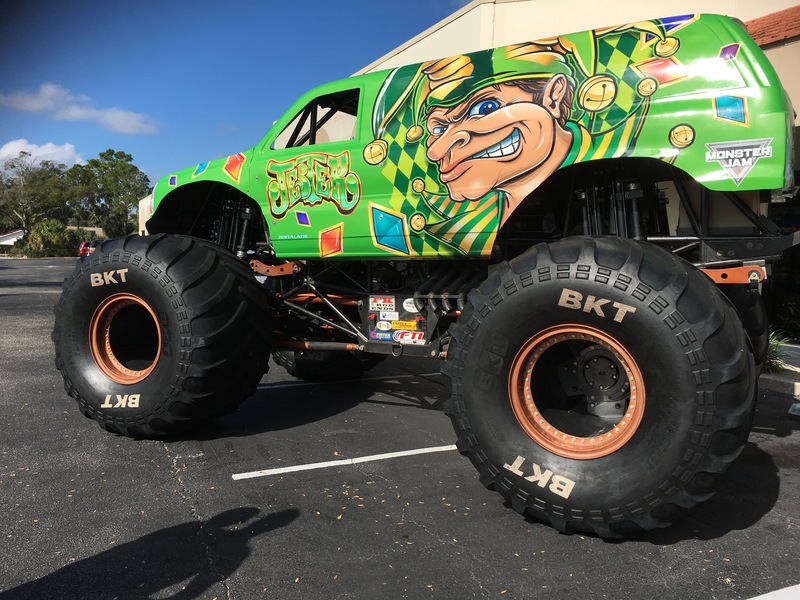 Fans of Monster Jam can enjoy some of the show’s biggest stars, as they’re on display in and around Orlando. See the mammoth vehicles up close and take pictures with them, meet the drivers, and cheer them on personally before they roar into the Camping World Stadium on Saturday, January 21. And it’s all free to the public! The trucks aren’t called “monster” for nothing. They’re approximately 12 feet tall and about 12 feet wide custom-designed machines that sit atop 66-inch-tall tires and weigh a minimum of 10,000 pounds. Built for short, high-powered bursts of speed, Monster Jam trucks generate 1,500 to 2,000 horsepower and are capable of speeds of up to 100 miles per hour. Monster Jam trucks can fly up to 125 to 130 feet (a distance greater than 14 cars side by side) and up to 35 feet in the air. As a Feld Ambassador, I had the thrill of getting to see these behemoth vehicles last week in Tampa. This week it’s Orlando’s turn to rev up their metaphorical engines in anticipation. Coty Saucier in Monster Energy successfully pulled off his first backflip and went on to win his first stadium freestyle in Tampa! 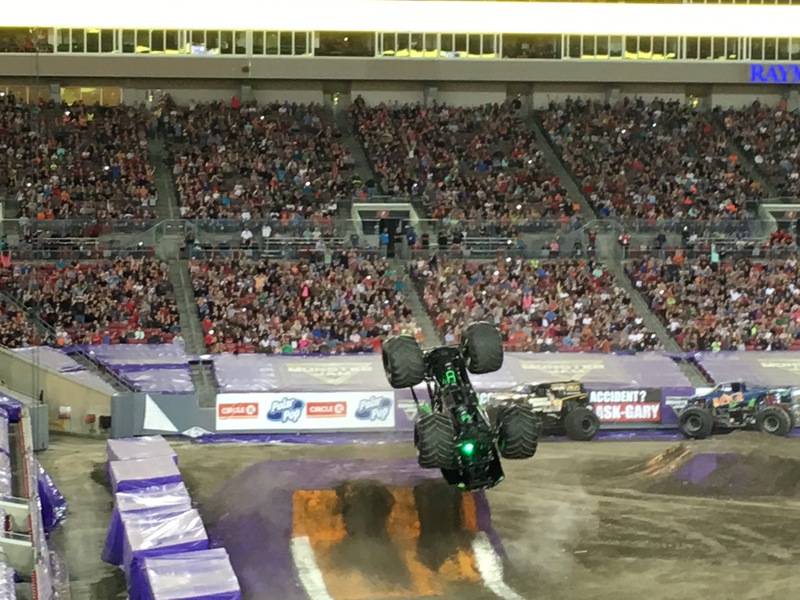 Enjoy the most adrenaline-charged motorsports experience for families on the planet Monster Jam with seats starting at $15. 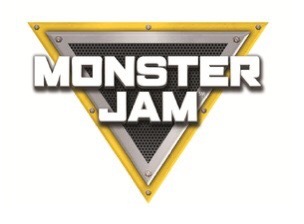 Monster Jam will be performing at Camping World Stadium in Orlando on Saturday, January 21, 2017. Gates open at 5 PM, opening ceremonies are at 6:30 PM, and racing starts at 7 PM. The Party in the Pits on Saturday, January 21, from 2:30 PM – 5:30 PM gives fans the opportunity to get up close and personal to the Monster Jam trucks and drivers. Pit Passes are available for $10.00 at the Amway Center Box office in advance, online at http://www.ticketmaster.com, or charge by phone at 800-745-3000. Same day event ticket and pit pass required for entry to pit party. The Party in the Pits is one of our favorite parts of the entire experience. You never know who you’ll get to meet in person. I enjoyed listening to Madusa talk about the women of Monster Jam. She was such a class act expressing her gratitude for Dennis Anderson, Grave Digger, and all of the Feld Entertainment team who made it possible for all of the women who came before her and who will follow in her footsteps, er, tire tracks in the years to come. *Due to Dennis Anderson being hospitalized, it is unknown whether or not his truck will be at its scheduled Orlando viewing destination. I know I for one send him every healing thought and wish. Last week we were singing about Santa Claus coming to town, and this week I’m excited for Ringling brothers coming to town January 12-16 at the Amway Arena. 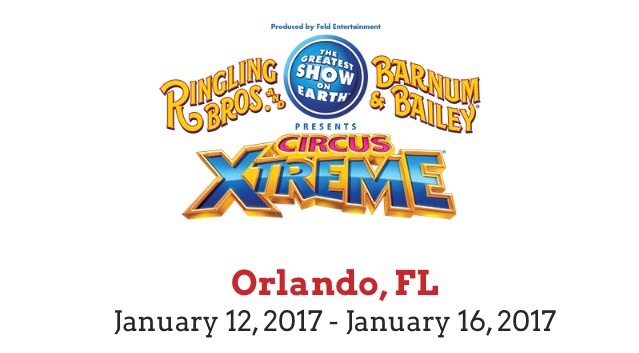 Orlando attendees will be the first to cheer on Ringling’s first female ringmaster and the brand’s 147 year history. Kristen Michelle Wilson is a dynamic performer with tremendous stage presence and exceptional vocal skills. She beat out hundreds of candidates in a nationwide open audition process to earn the prestigious role in Circus XTREME®. Save $5 off select seats using promo code 5CIRCUS. Offer valid on all shows EXCEPT Thursday at 7:30 p.m. (opening night), Saturday at 3:30 p.m. and Sunday at 1 p.m. Not valid on Front Row and Premium Seating, nor day of show. Offer valid through January 12. I hope to see you at the Amway Center for Circus XTREME. I’m so excited! Note: As a Feld Ambassador I received courtesy tickets to this show in exchange for posting a story about Ringling Bros. and Barnum & Bailey® Presents Circus XTREME. A Charlie Brown Christmas at ICE! I can’t tell you how many times I’ve watched a Charlie Brown Christmas story. It’s one of those TV shows that, if you’re my age, you watched every year without fail. ICE! at Gaylord Palms has a Charlie Brown Christmas as its theme, and the bucktoothed, blonde-haired little girl still inside of me couldn’t be happier. The magic begins even before you get to Charlie and his friends. In the beautiful glass atrium, Cirque Dreams puts on “Christmas Unwrapped.” I’ve seen the show a couple of times, and the talented performers never fail to impress! From the exquisite violin player who lures you into the magical dream, to the aerialists, jugglers, and all the other mind-boggling performers, the people at cirque dreams will inspire you with every fiber of their well-trained bodies. After the free lobby show (yes I said free), make your way to the Alpine Village and all that is ICE! 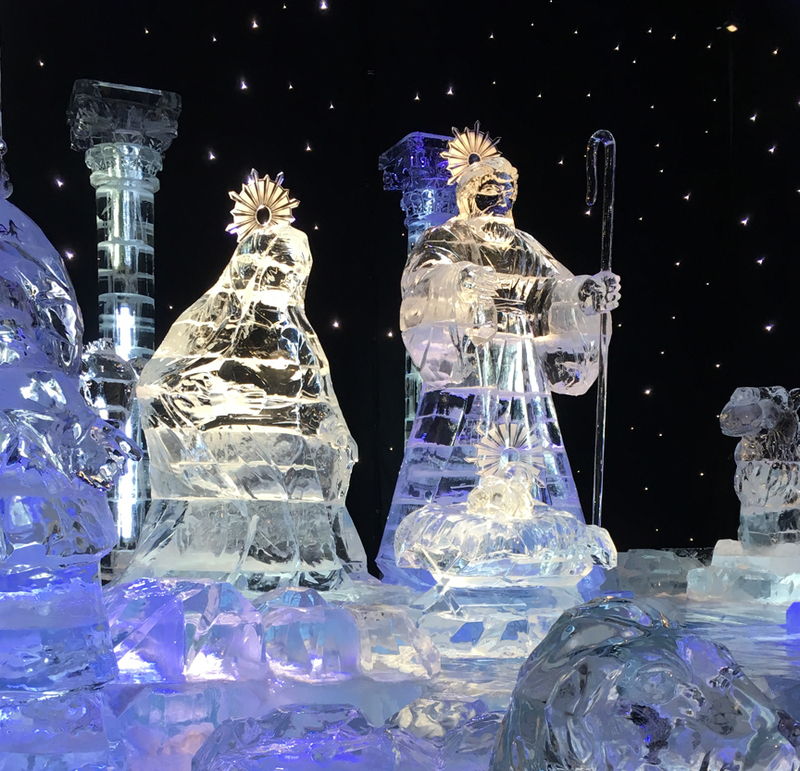 Walk through millions of pounds of ice carved by artisans from Harbin China. If you’ve never seen larger than life-sized characters carved in this way, you will be utterly amazed, not to mention you will be cold! Your journey begins when you put on your parka. I highly recommend you bring gloves, earmuffs, and a hat in addition to the cold weather gear that is provided with your ticket. The warmer you are, the longer you can withstand the 9° temperatures and enjoy inspecting every creative and thoughtful detail. Just as in years previous, the tour through ICE! concludes with a winter white crystal-looking nativity. The ice is carved in such a way that they look lik e glass. It is something to behold. My best tip, since there is a parking fee when you go to ICE! or even to the Cirque Dreams show, is to factor in dining at the hotel so you can get your parking validated. We are particularly fond of MOOR and try to eat first before heading over to the winter wonderland. When you work in time to eat, it also gives you a chance to perhaps check out the Elf on the Shelf scavenger hunt. For a nominal fee you get a booklet with all the details plus some fun activities. When you have successfully found all those sneaky elves, there is a prize at the end. We’ve gone on many a scavenger hunt at that hotel and it never gets old. Another meal option is the character breakfast. I was hosted* to preview ICE! and treated to an incredible buffet breakfast at Villa de Flora where we met Charlie and Lucy. Ice runs through the first weekend in January. For a fun family outing, I recommend you visit. 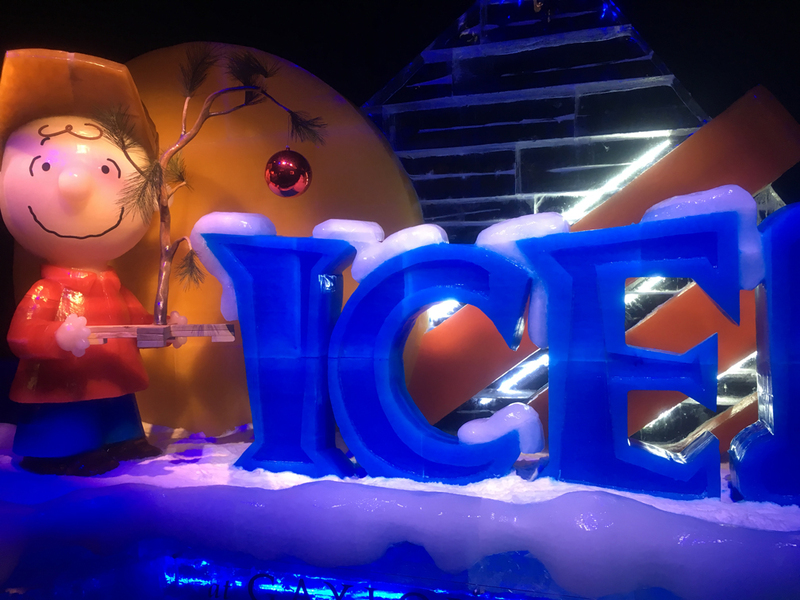 *Disclosure: As an ICE-pert ambassador I have been visiting Gaylord Palms on and off for months as part of a press group to watch the transformation from blocks of ice to well-loved characters. 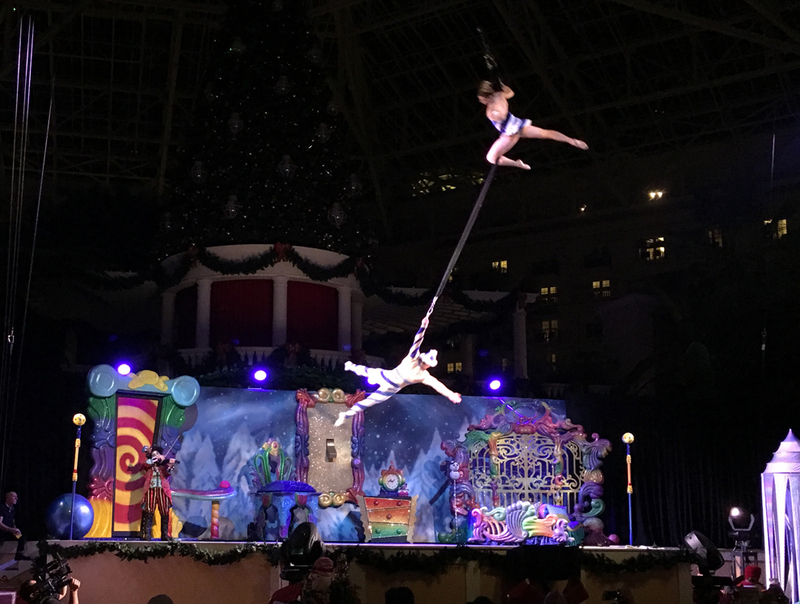 For opening weekend, my family was hosted to stay the night at Gaylord Palms in addition to receiving vouchers for food and admission to ICE! and accompanying holiday activities. I have attended as both a guest and “regular” attendee. All opinions are 100% my own.